The U.S. ambassador to the United Nations said Sunday that training of moderate rebels in Syria will help both U.S. efforts to destroy the terror group known as ISIS and the rebels' ongoing struggle against the regime of President Bashar al-Assad. 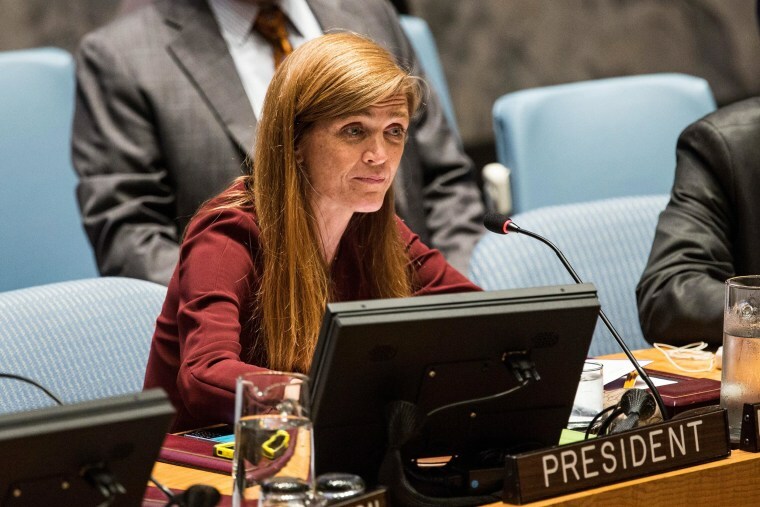 Ambassador Samantha Power told NBC's Chuck Todd that the rebels know their arming and training by the U.S. is intended to help degrade the Islamic terror organization. "But may I add, the training also will service these troops in the same struggle that they've been in since the beginning of this conflict against the Assad regime," she said in an interview on NBC's Meet the Press. Last August, President Barack Obama indicated that he was prepared to launch a military strike in Syria after Assad's regime used chemical weapons against its own people. But, without strong support in Congress or from the American support, that plan dissolved. Battle Plan: Who Are Syrian Rebels Tapped to Fight ISIS?